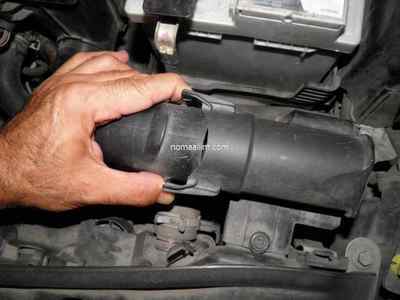 NOTE: the below works occurred on a Peugeot 208 1.2 VTi but remain similar or identical on many other popular Peugeot and Citroën models. 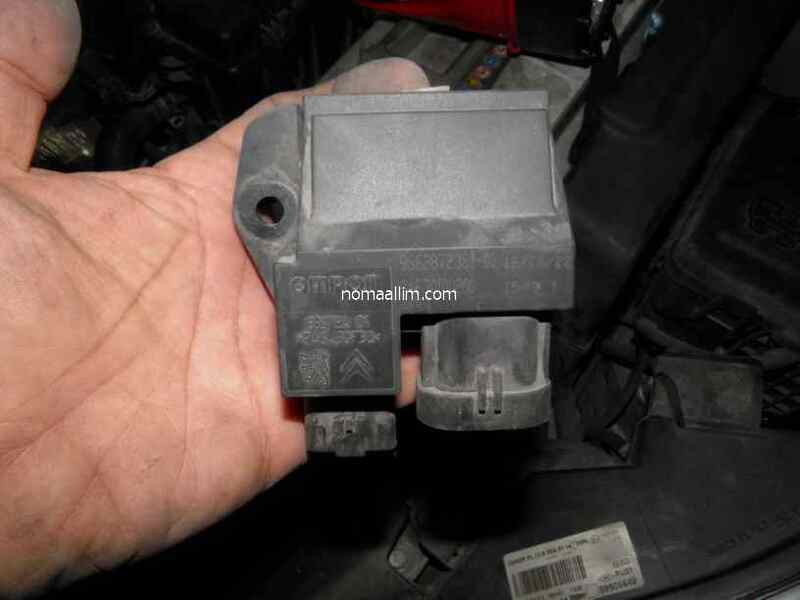 A P0494 OBDII fault code on Peugeot or Citroën vehicles denotes a low fan speed problem. 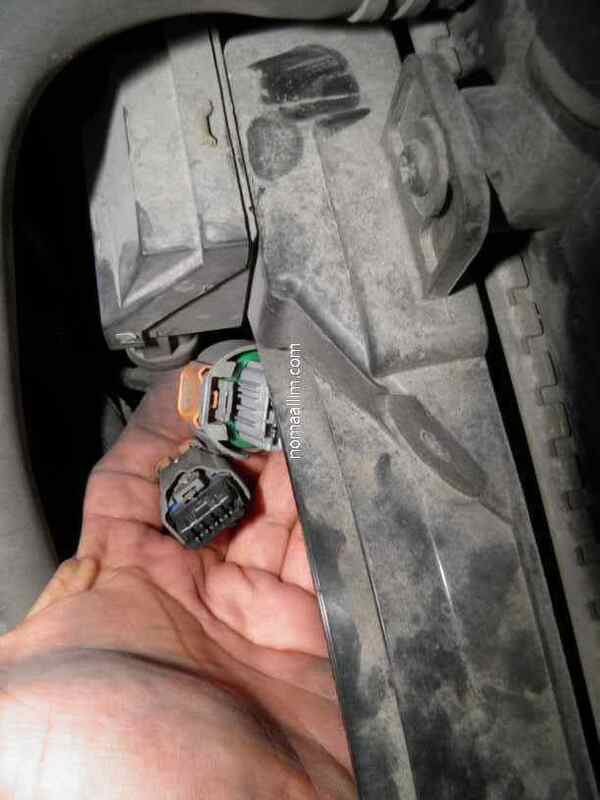 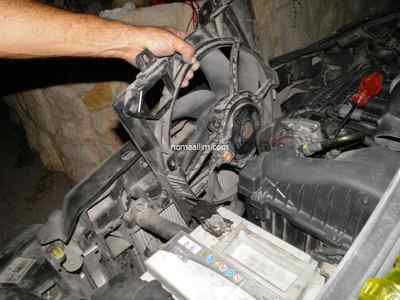 The diagnostic in this case includes removing the Peugeot fan assembly from the vehicle and testing the fan by directly connecting it to the battery. 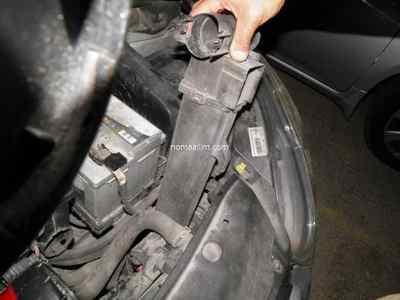 Start by removing the air intake hose and the air box (resonator). This gives enough access to the fan control unit connectors. Use a flat screw driver to pull back the safety stop (orange, left picture) and then pull out the fan module connector. 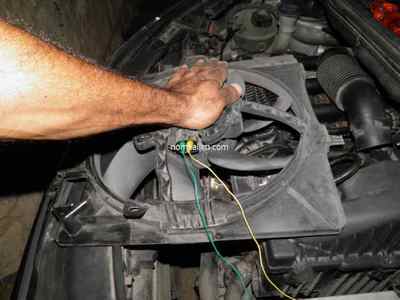 There are no particular tests that you can do except a visual inspection, reason why it is necessary to test the fan. The Peugeot 208 cooling fan is held by the means of 2 Torx screws only. 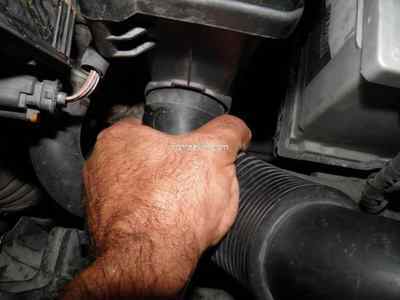 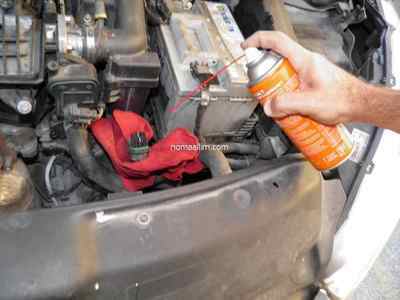 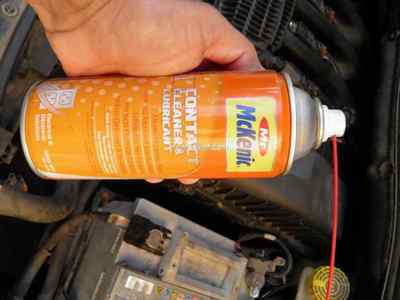 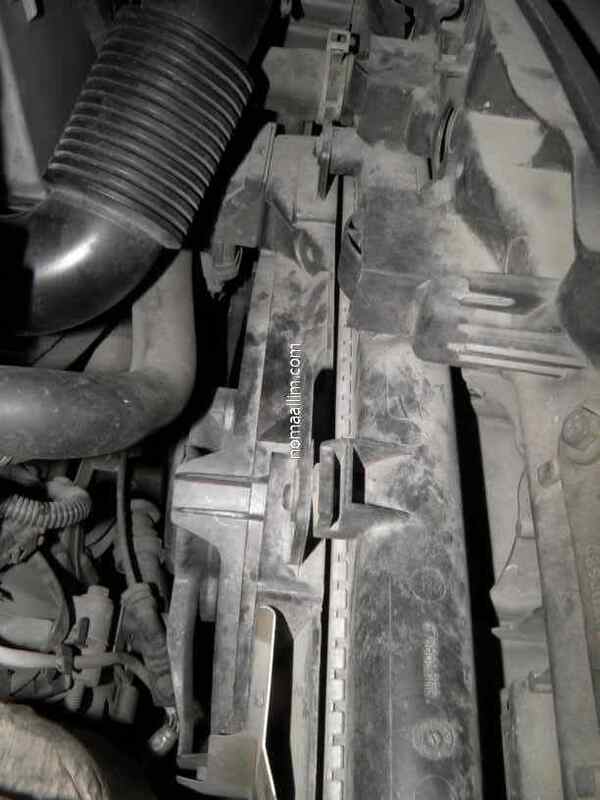 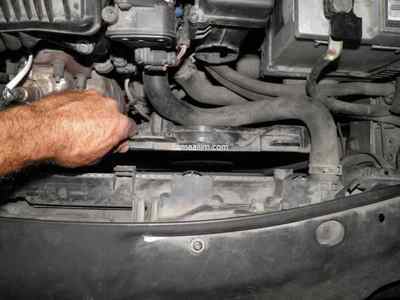 You can then take it out by gently pulling it upwards in between the catalytic converter and radiator. 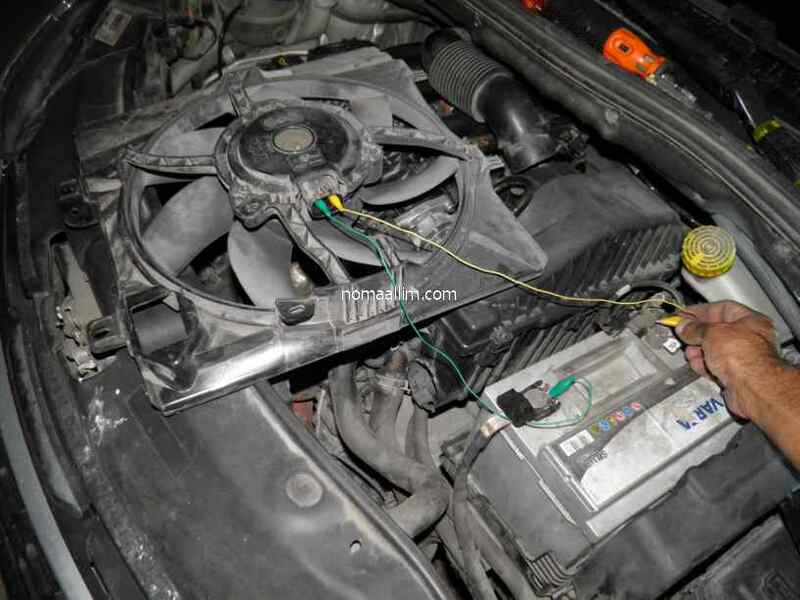 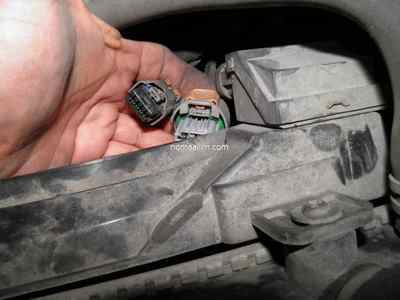 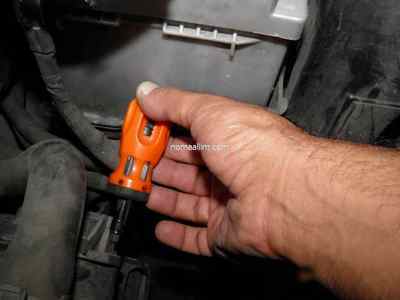 Place the fan on your engine and connect it to the battery while securing it with your hand and check it rotates smoothly when powered up. 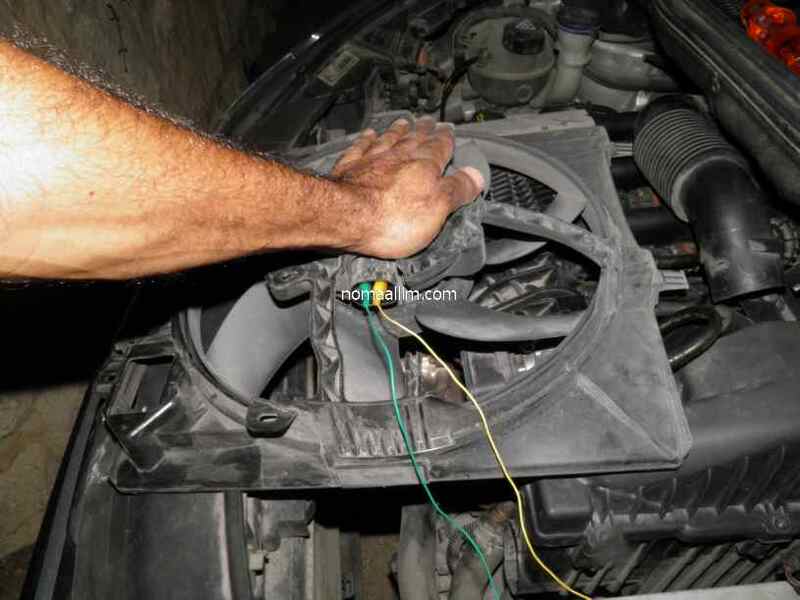 If this is the case, then the fan control module is to blame. 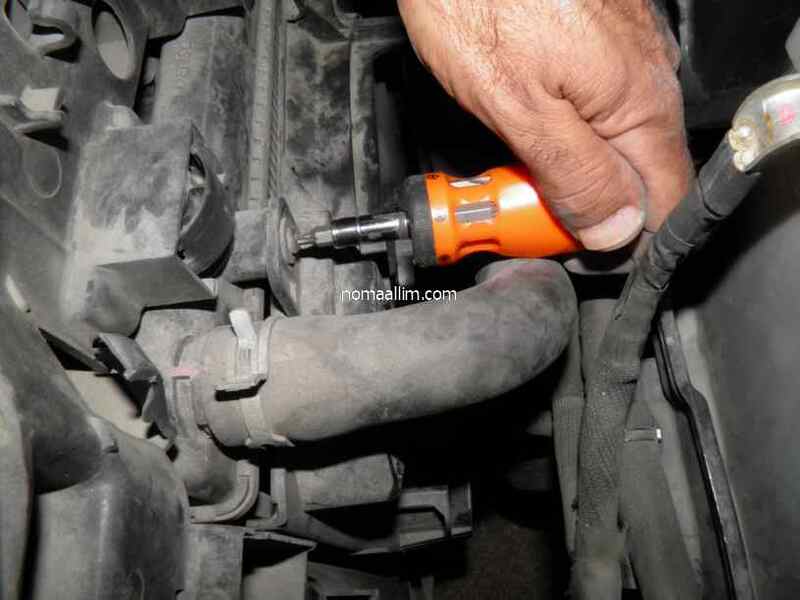 No further diagnostic is necessary. 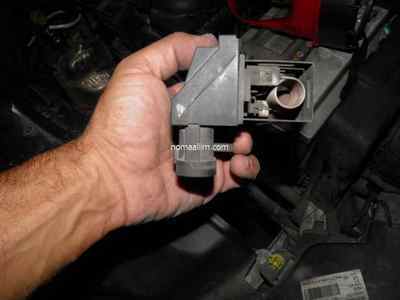 Make sure to purchase the right Peugeot fan control module. 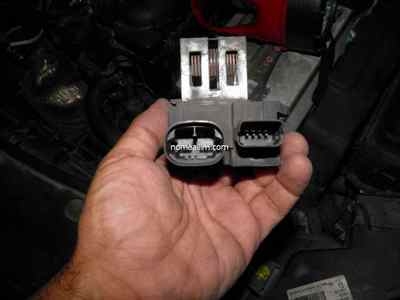 Blower resistor modules for various Peugeot / Citroën models. 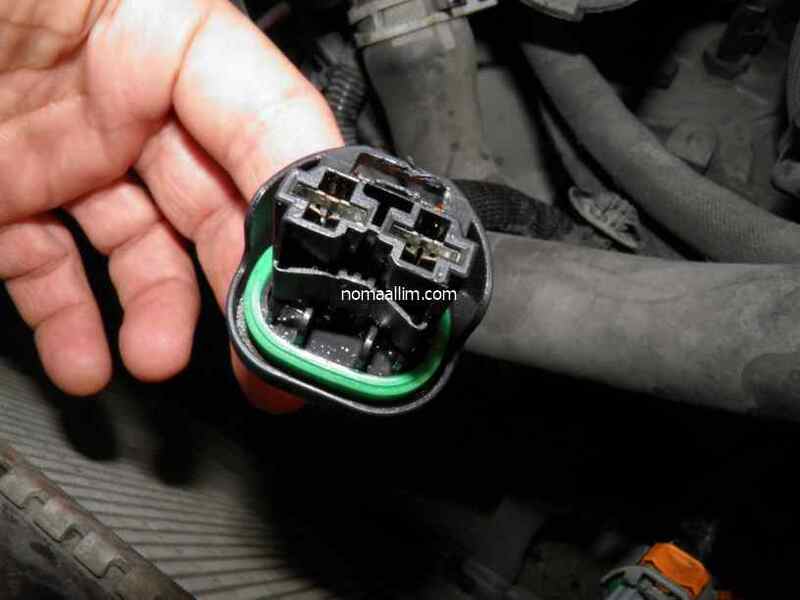 Check the vehicle compatibility before buying. 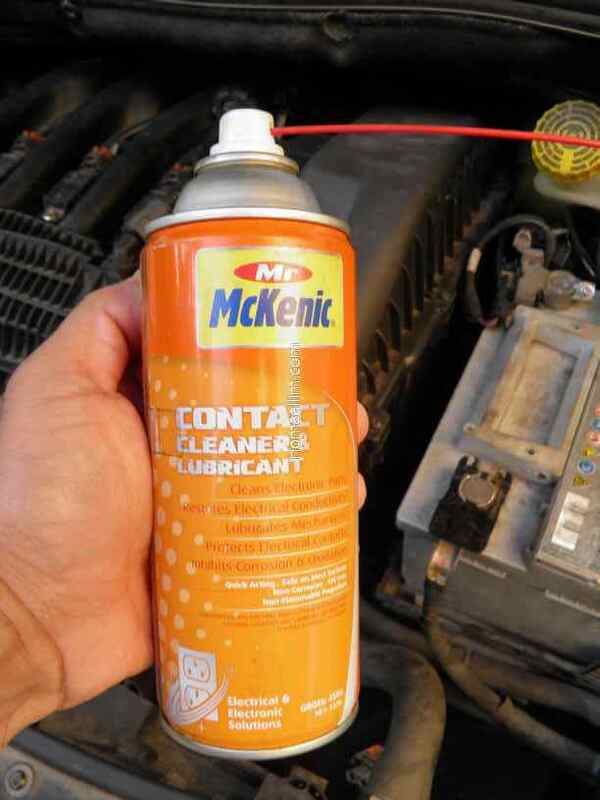 Use a contact cleaner to clean all 3 connectors, the one of the fan and the 2 connectors of the fan resistor module prior to reassembling.